Chris, Trevor, and I are waiting for our gondola at the Royal Gorge Bridge and Park. 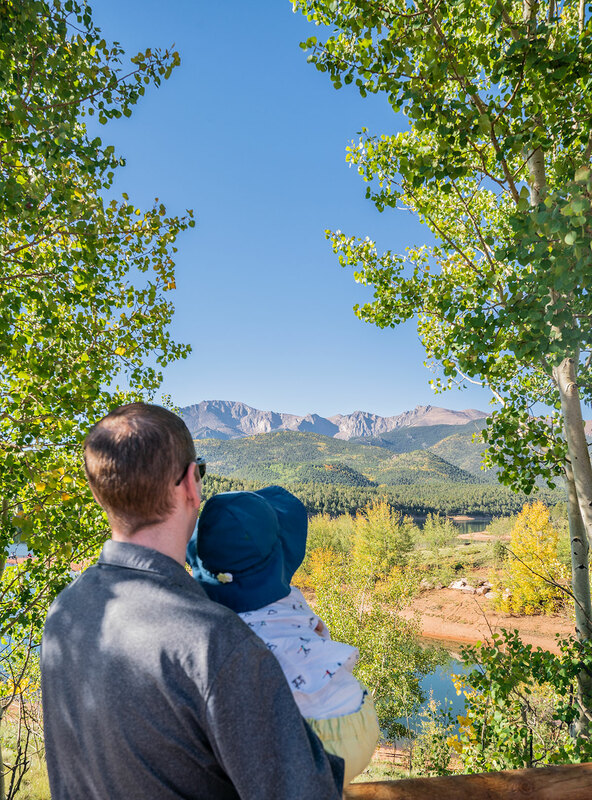 For miles in every direction surrounding us, we see the stunning, jagged green peaks of the Colorado Rockies. And directly below our feet: the vivid red rock of the Royal Gorge. It’s a cliff that’s so enormous, a giant tree growing among the rocks looks like a potted house plant. The Arkansas River is a staggering 1,000 feet below us. A giant, bright red gondola running along a ridiculously thin cable wire is dwarfed – as though it were another of Trevor’s toy cars – by the vast canyon. 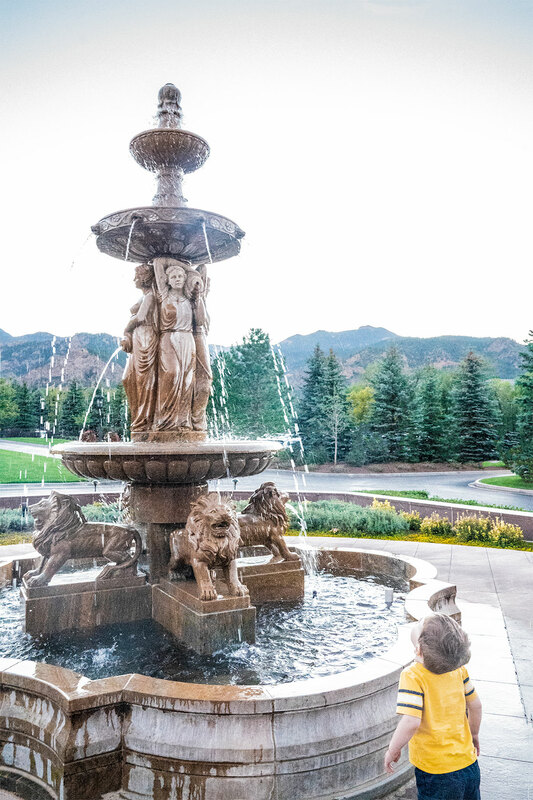 The Colorado Springs region has unbelievably stunning and varied landscapes. One moment, you’re walking amidst jagged red rocks. The next, you’re gazing across emerald green mountain peaks. There are challenging hikes galore, offering the most incredible panoramic vistas as reward. But honestly, this area is so gorgeous, you don’t need to hike at all to take in jaw-dropping views. 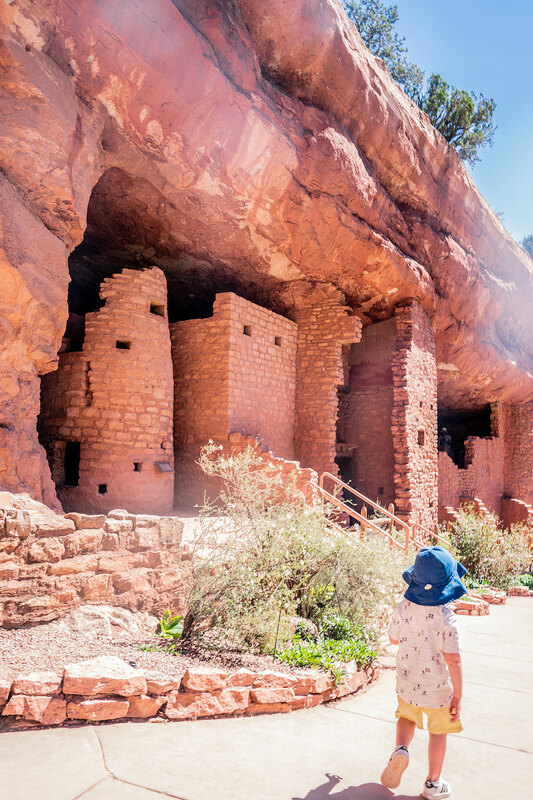 We were all fascinated by the Manitou Cliff Dwellings, a preserved Pueblo Indian village (nearly a thousand years old!) built into the side of a cliff. 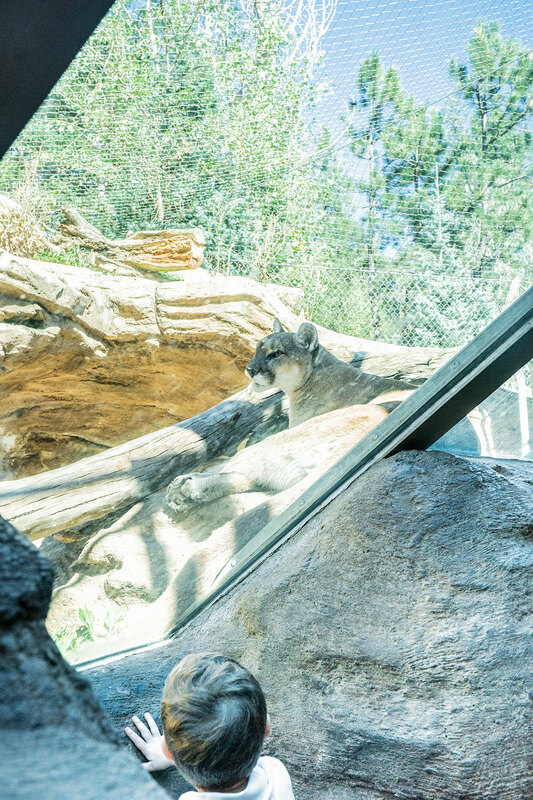 Trevor had the time of his life at the Cheyenne Mountain Zoo. 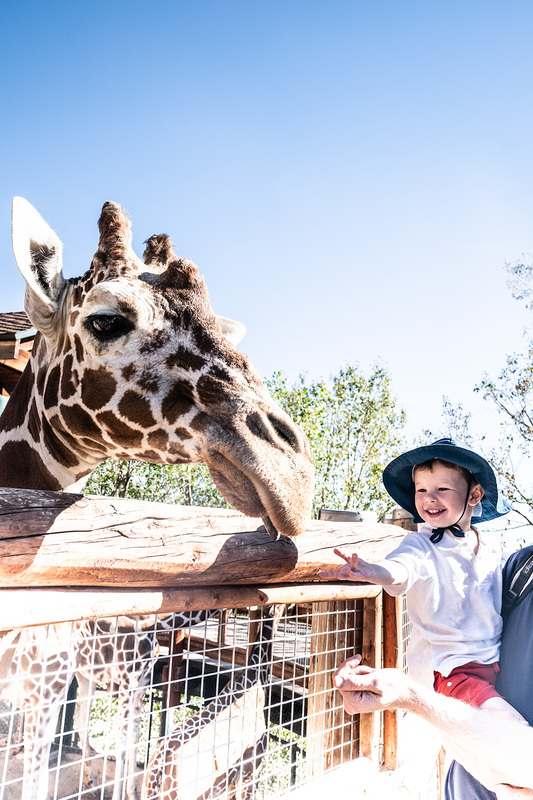 It’s a zoo on top of a mountain peak, where the giraffes (you can feed them lettuce leaves!) and kangaroos (you can touch them!) 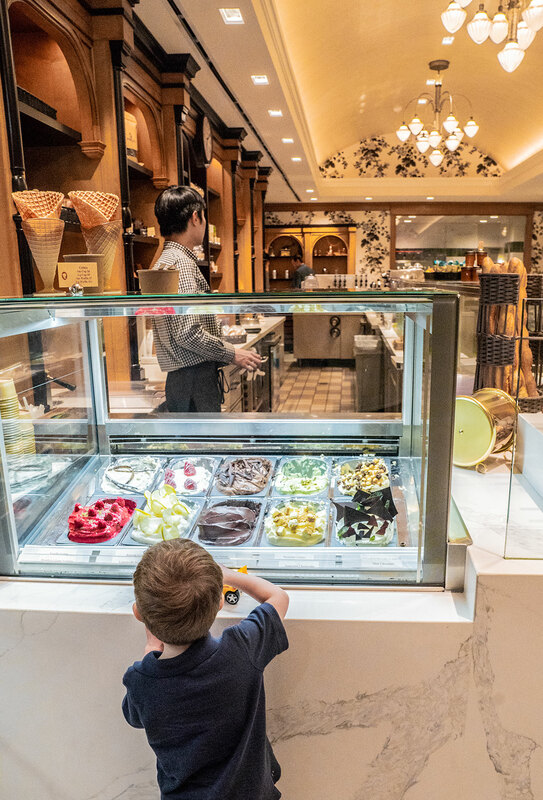 get a spectacular view. 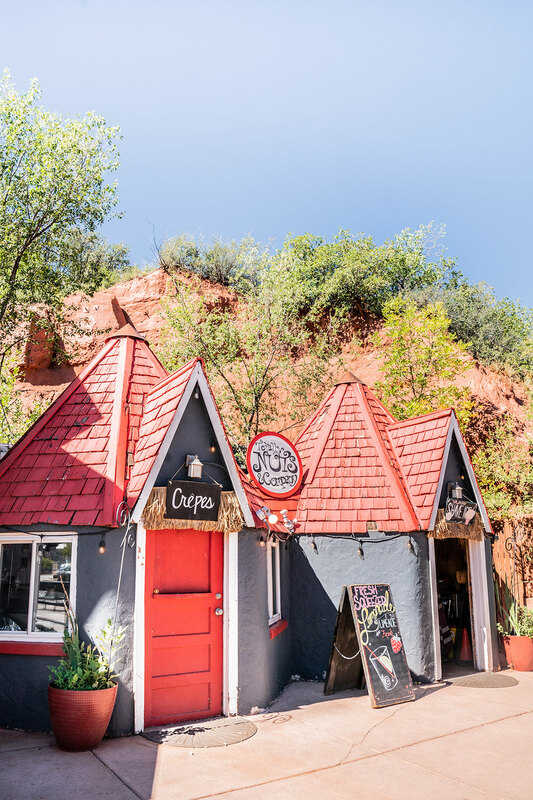 And I loved Manitou Springs, which had the most picturesque downtown shopping district, with lots of unique and local stores and restaurants. 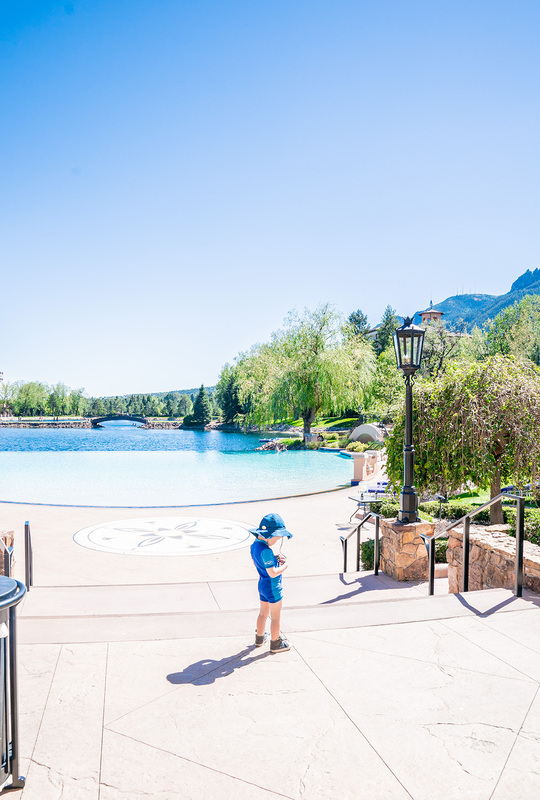 There are enough attractions and sites in the Colorado Springs region of the state to occupy a month’s worth of travel! 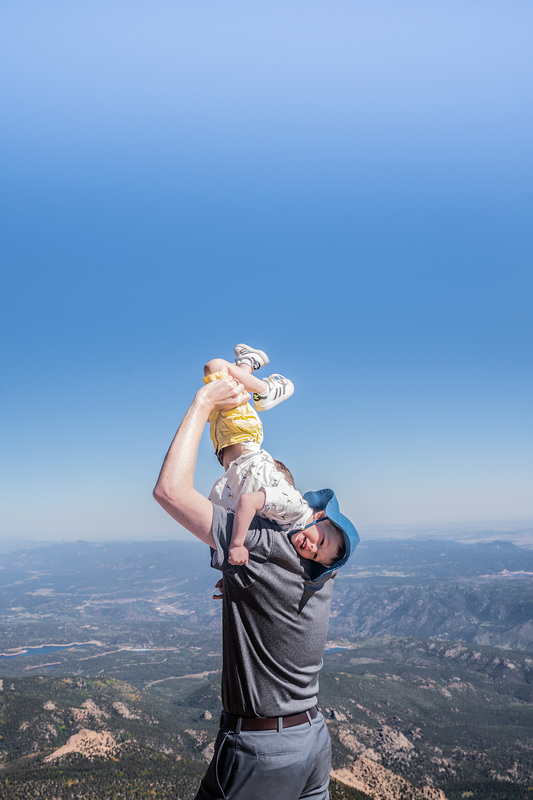 Pikes Peak is an easy hour-long drive from Colorado Springs, and it’s worth a visit! This mountain is one of the highest summits in the Rockies, and it reaches heights of over 14,000 feet. It’s possible to drive all the way to the summit. But fair warning: you’ll drive a winding, steep road with thrilling (sometimes terrifying, in my mind!) curves along mountain edges that plummet for miles. 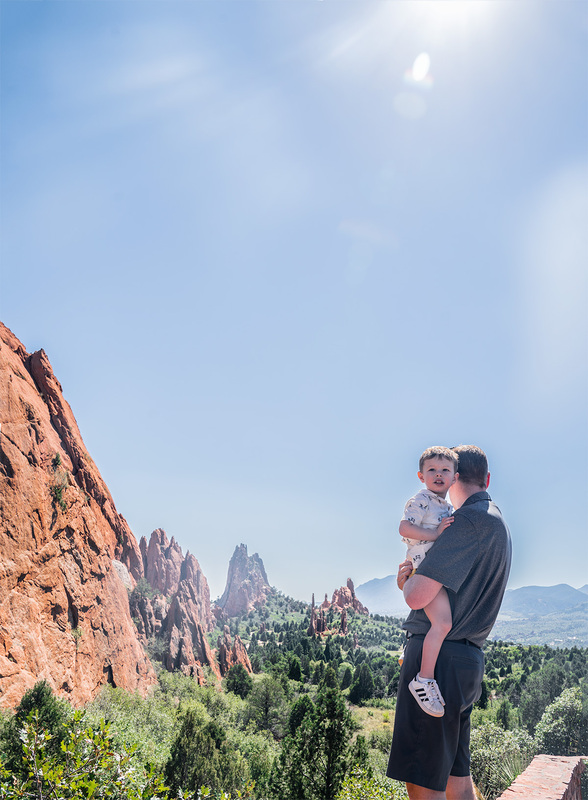 A trip to Colorado Springs is all about getting outside and enjoying the best of what Mother Nature has to offer. 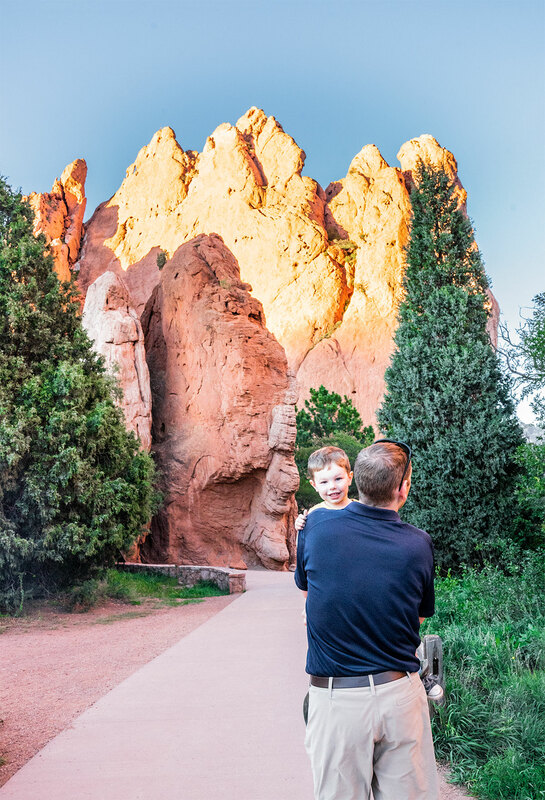 One of our favorite parks was the Garden of the Gods, which had paved, flat walkways winding through gorgeous (and towering!) red, rocky peaks. 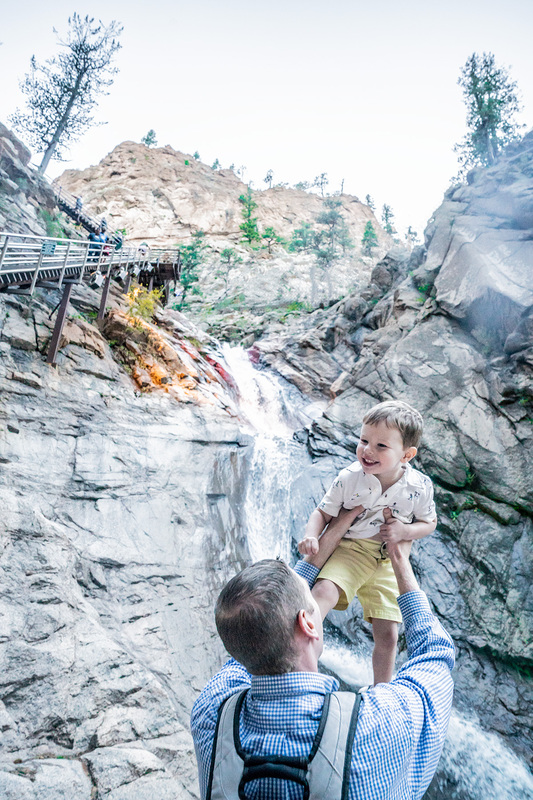 And we couldn’t believe the immensity of the falls at Seven Falls, which cascade down a 1,000-foot rocky canyon. 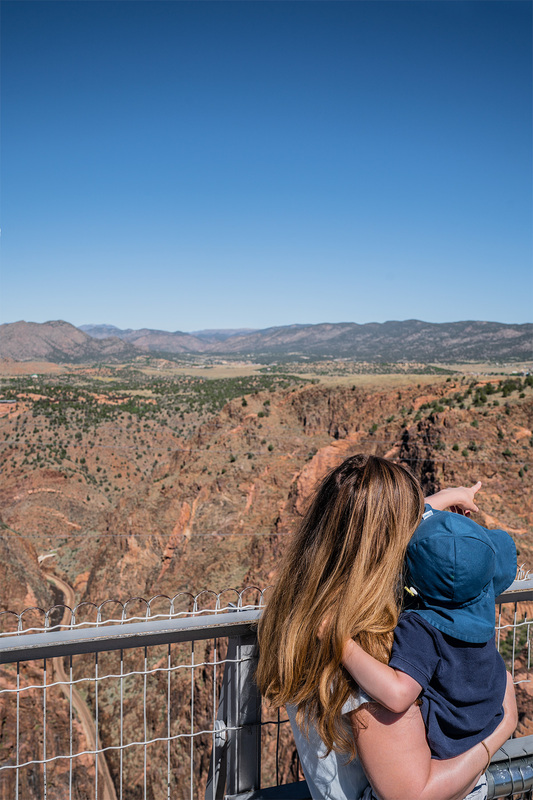 The outdoor options – from challenging hikes to relaxing and scenic nature walks – are truly endless in the Colorado Springs region! Sweeping Panoramic Views – Everywhere! 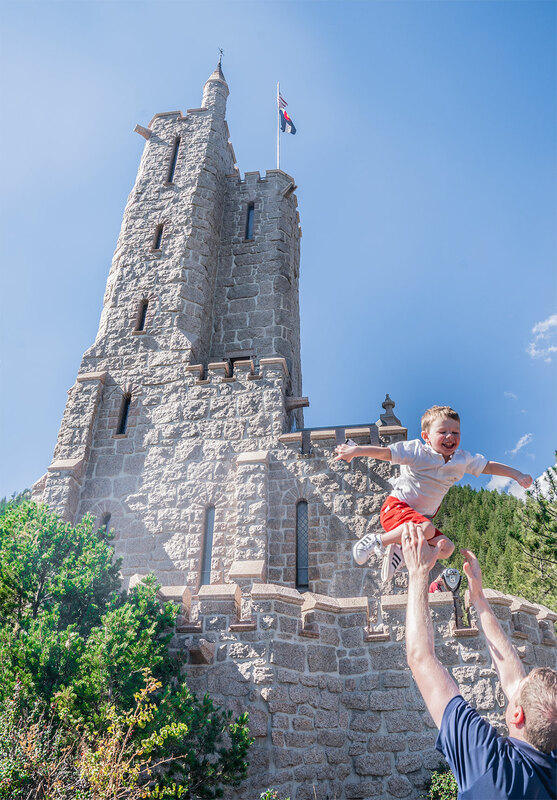 Drive up to the Will Rogers Shrine of the Sun for 360 degree views over all of Colorado Springs and the entire Pikes Peak region. 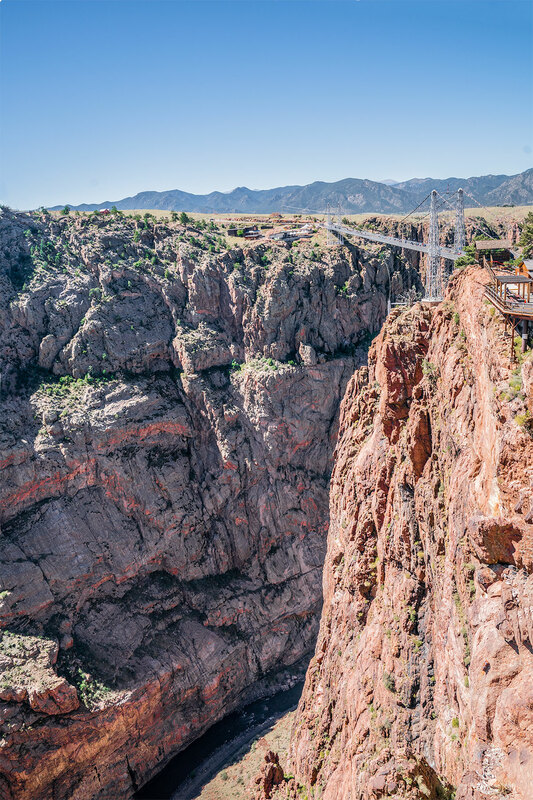 The Royal Gorge Bridge and Park also offers endless vistas of those deep red and orange jagged mountain peaks that Colorado is known for. 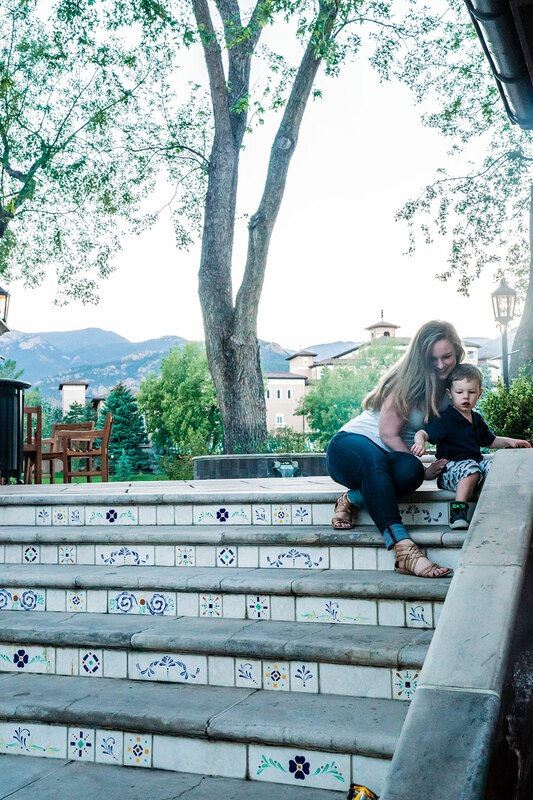 One of our favorite experiences, though, was a simple al fresco dinner at one of the restaurants at The Broadmoor resort. 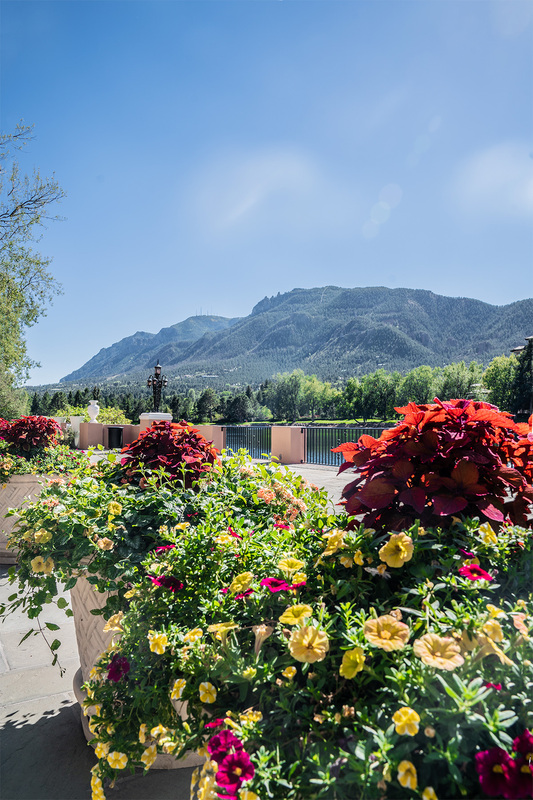 The view from our table (on the outdoor patio) overlooked a lake with swans gliding over the water, deer peaking through the trees, and mountain peaks rising in the distance.